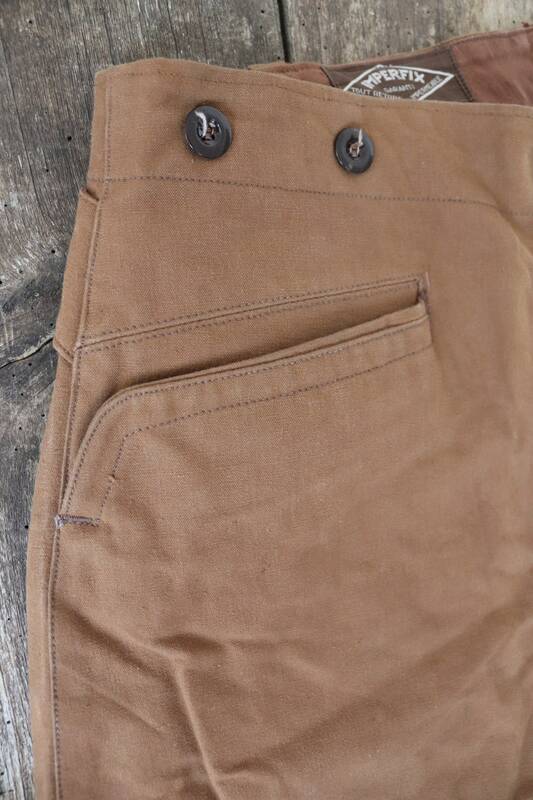 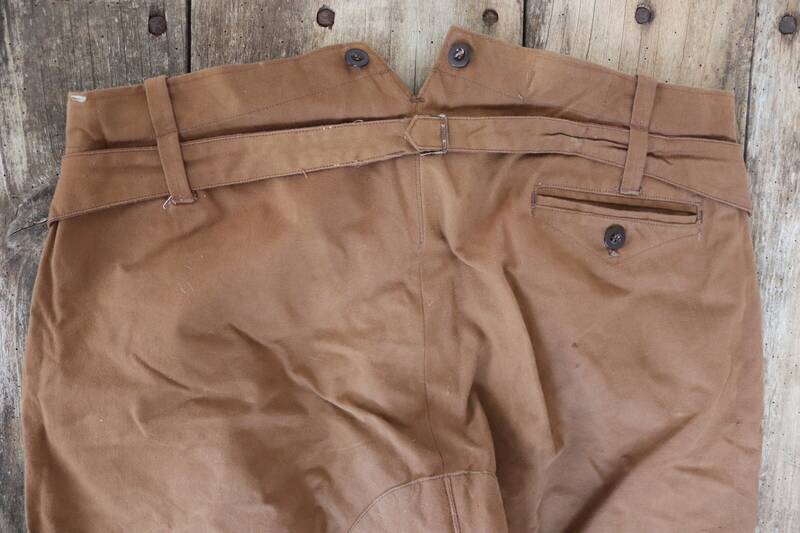 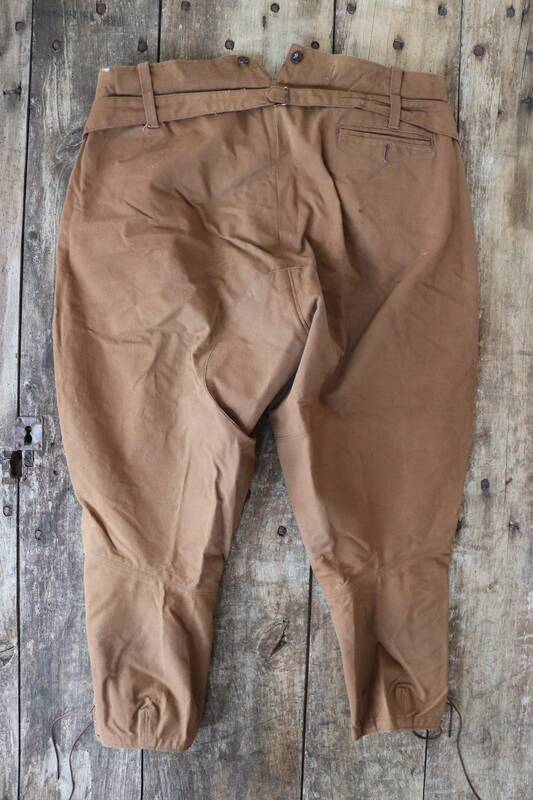 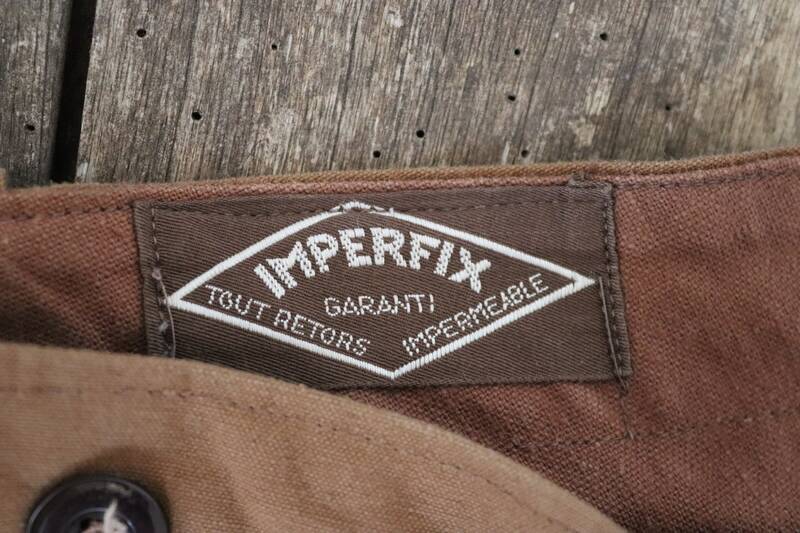 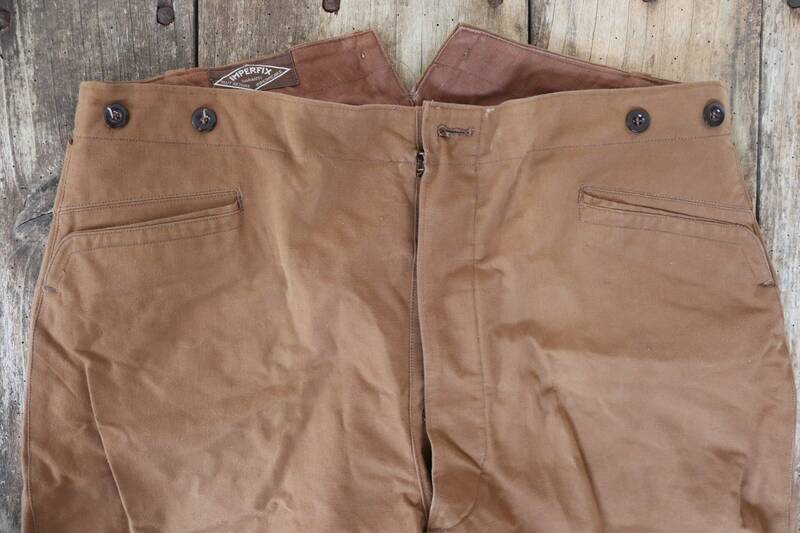 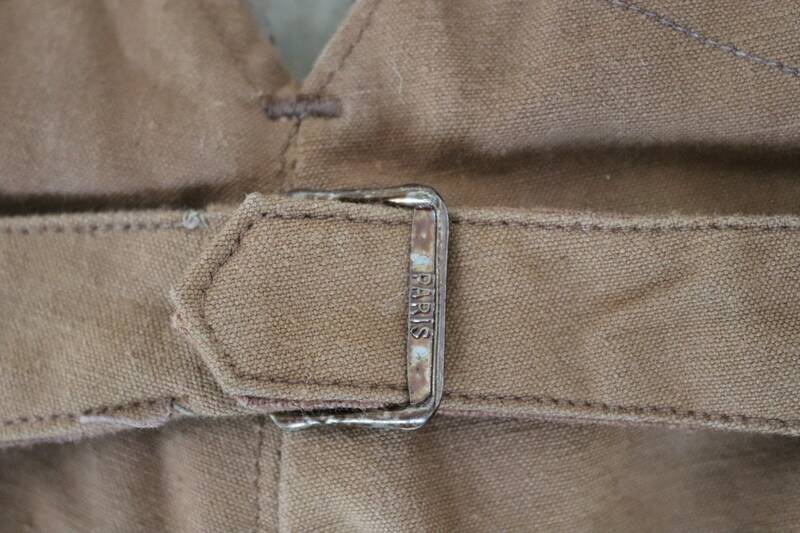 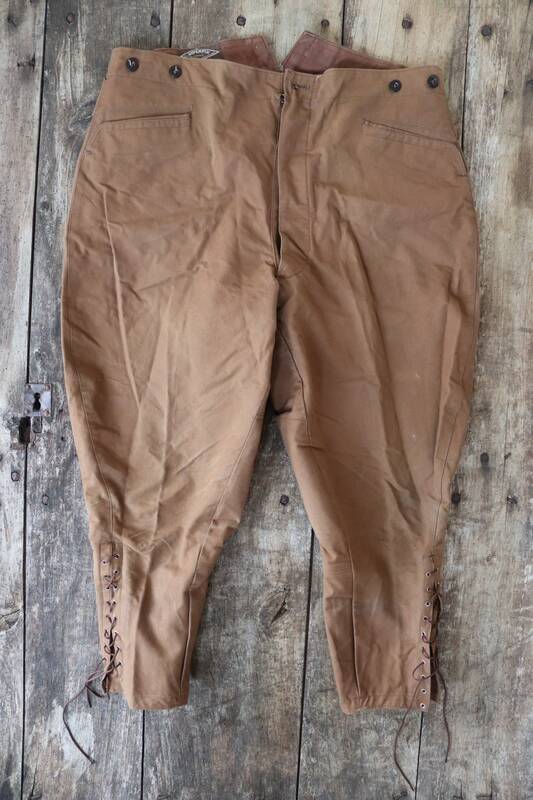 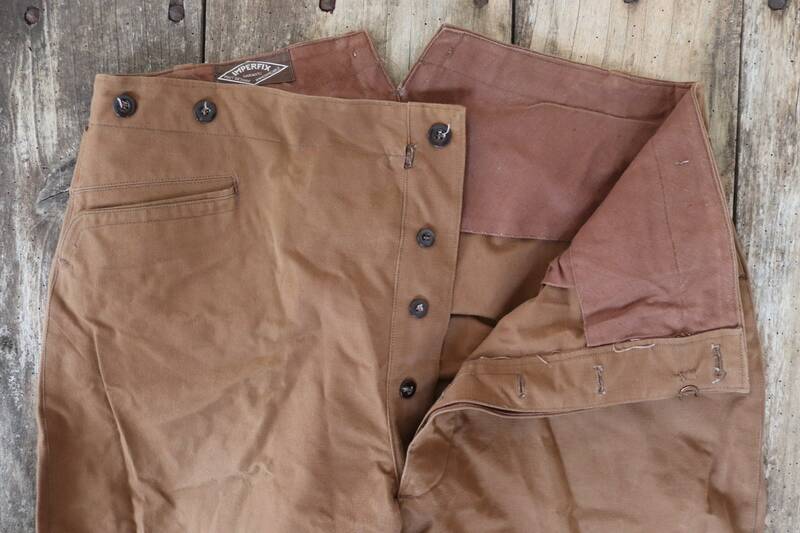 A pair of tan brown French cotton canvas hunting breeches dating from the 1960s. 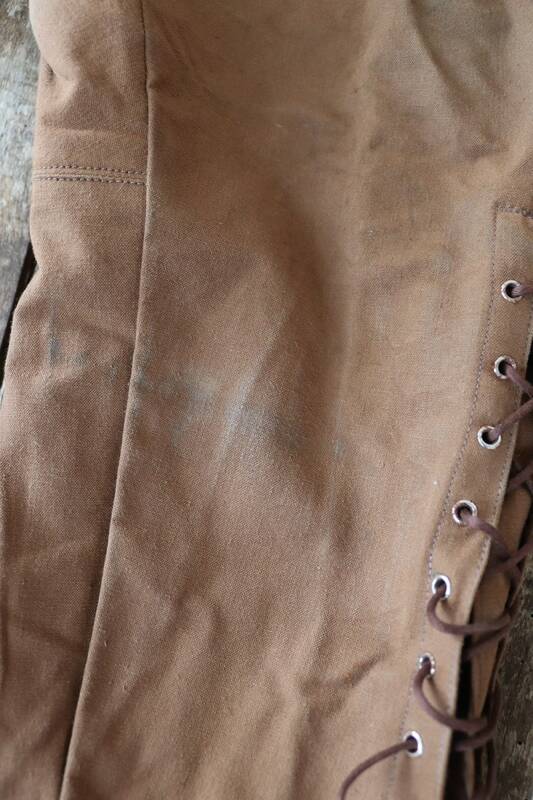 Noted flaws - some very light marking here and there, but in otherwise excellent condition and appears to be unworn. 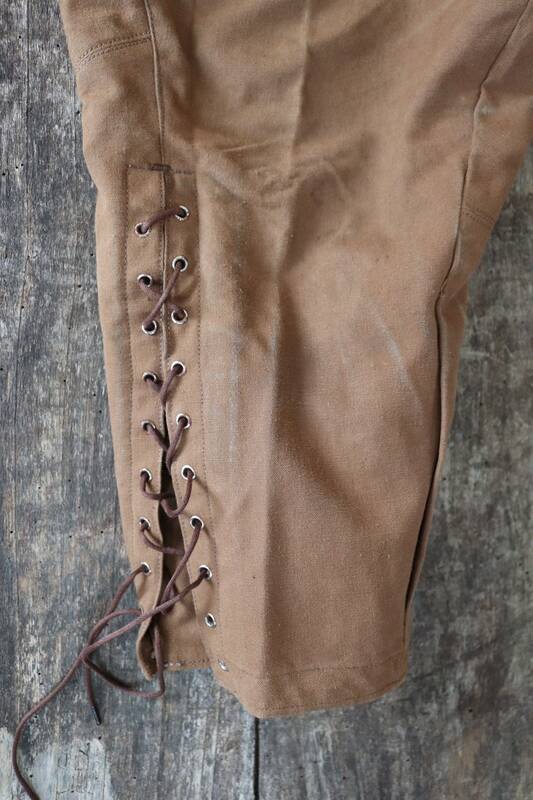 Buckle and v notch back, suspender buttons, button fly, ankle laces, excellent quality, great style.